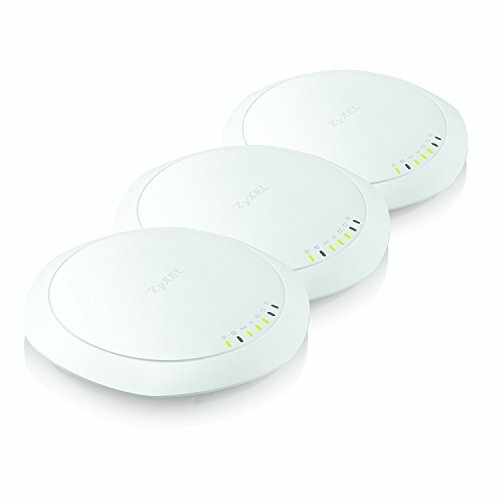 Zyxel delivers speed and convenience with its NWA1123-AC PRO 802.11ac PoE access point (AP), which offers streamlined controller-less deployment for a trouble-free small business or home office wireless LAN experience. Building with innovative dual-optimized antenna design, the ultra-fast AP brings together remarkable performance and coverage enhancements, along with a user-friendly interface and robust components. The stylish exterior makes the AP ideal for not only in ceiling mount installation but also in wall-mount deployment without creating inter-floor interference, meanwhile the device provides smooth Wi-Fi services without detracting from interior design aesthetics. The NWA1123-AC PRO also supports repeater mode that makes it a flexible solution for small businesses, hotels and school environments.